Premier consumer device manufacturer Archos and its subsidiary Arnova are setting out to make huge waves in the Philippines’ personal device market with the introduction of several new gadgets aimed at further establishing their brands in the country. Powered by Google’s latest operating system Android version 4.1 “Jelly Bean,” the new Archos and Arnova devices provide leading-edge consumer market devices at a fraction of the cost. Archos, is also entering the smartphone business while Arnova is lining up new Wi-Fi-enabled models of 7”, 9.7” and 10.1” tablets for the entry-to-mid and high-level users. With years of research and development and proven market track record under its belt, Archos is well-established in the tablet industry. Archos is also proud to get a Google Certification, ensuring that its devices will come with Android’s applications, such as Google Play Store, Gmail, YouTube, Maps among others. Archos starts off with the 80 Titanium, which features an 8-inch IPS (in-plane switching) panel that offers the best color contrast among tablets of its class. The 80 Titanium boasts a 1.6 Gigahertz (GHz) Cortex-A9 dual-core processor and a built-in quad-core graphics processor for smooth operation of graphics heavy applications, games and even high definition videos at 1080p. The Archos 80 Titanium has a 1 Gigabyte (Gb) RAM, a front and a rear camera, 8 Gb internal flash memory (expandable to 64 Gb via micro SD slot), Wifi and Bluetooth wireless connectivity and a mini-HDMI port. Another new tablet is the 80XS, which has a keyboard that doubles as a magnetic cover board. This 8-inch wonder features a 1.6 GHz dual-core Cortex-A9 processor, 1 Gb of RAM and 8 Gb of internal flash memory (expandable to 64 Gb via micro SD slot), as well as WiFi and Bluetooth connectivity. It can also connect to a TV to become a media player via mini-HDMI. 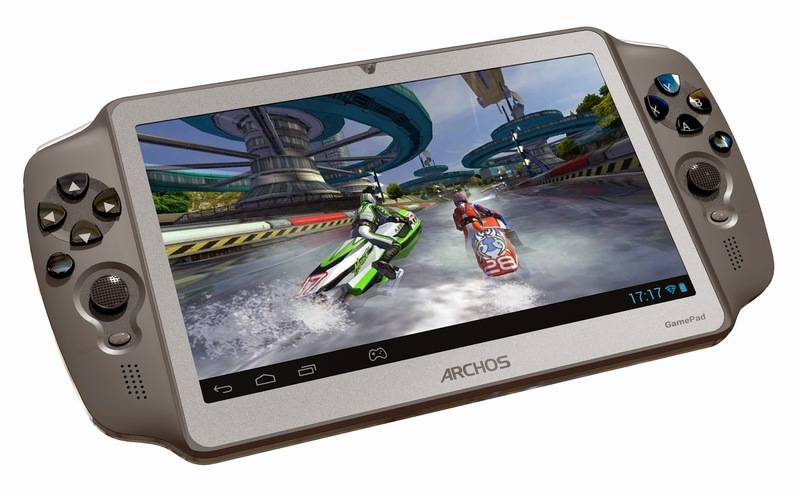 The company is also delving into the mobile gaming scene as it introduces a one-of-a-kind Archos GamePad. Designed to cater to gamers, this Android gaming device features dedicated dual analog sticks, a dual four-way directional buttons and shoulder buttons. This design enables the Archos GamePad to convert typical touch controls of hundreds of Android games into physical, button-based controls. Archos has finally broken into the smartphone market with the introduction of its Archos 50 Platinum and 53 Platinum 3G smartphone devices. 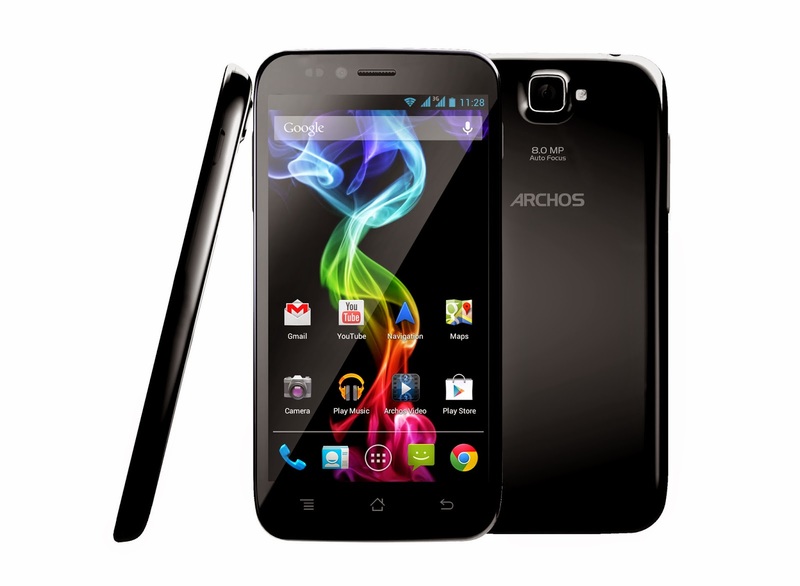 Starting with the 50 Platinum, Archos is offering tablet-like features into mobile phones. The 50 Platinum has a bright 5-inch IPS panel, a powerful quad-core Qualcomm processor running a 1.2 GHz, a 1 Gb RAM, 4 Gb internal flash memory and a dual-SIM slot. It has a 2,000 milliampere (mAh) battery life, providing a 161 hour standby time, and a whopping 9.8 hours of talk time. Its big brother, the 53 Platinum, has a 5.3-inch IPS panel and also features the same powerhouse components. But the 53 Platinum has a much bigger battery life at 2,800 milliampere (mAh), giving it an even longer standby time at 264 hours and 15 hours of talk time. Expanding its offering to younger generation of users, Arnova has introduced Arnova Childpad, a 7-inch tablet specially designed for school children. Not only does its colourful shell make the Arnova Childpad look unique, it is also pre-installed with a 6-month license of Mobile Parental Filter of Editions Profil, ensuring that its young users are protected from inappropriate content. These new Arnova G3 tablets are sure to captivate a wide variety of users, from school learners, entertainment users, home owners, business executives to power users. Starting the new line of tablets is the ultra-thin Arnova 7h G3 tablet. Experience crisp 16 million colors with this tablet’s 7” capacitive multi-touch screen at 800x480 pixels. It features an ARM Cortex A8 processor running at 1 GHz, with 512 megabytes (Mb) of RAM, and a 4 Gb flash memory. Next is the Arnova 7i G3, at Php4,995 is an upgraded version of the Arnova 7h that incorporates a 1 Gb RAM. It also has two speakers instead of one, producing more powerful sound that works even in open spaces. Completing Arnova’s new tablet line are its two Arnova 10.1” powerhouses; the Arnova 10c G3 and the 10d G3. Arnova 10c G3, uses ARM A8 processor running at 1 GHz, with 1 Gb of memory and a 4 Gb internal flash drive. Integrated into the Arnova 10c G3 is a micro SD slot (up to 32 Gb capacity) and a micro USB 2.0 slave port that enables users to plug in USB devices, such as external drives. Even more powerful is its twin brother, the Arnova 10d G3, which has a dual-core ARM A9 processor running at 1.2 GHz, also a 1 Gb RAM and a 4 Gb internal flash memory. It also features a front-facing camera, built-in speakers, microphones and micro SD and micro USB ports. 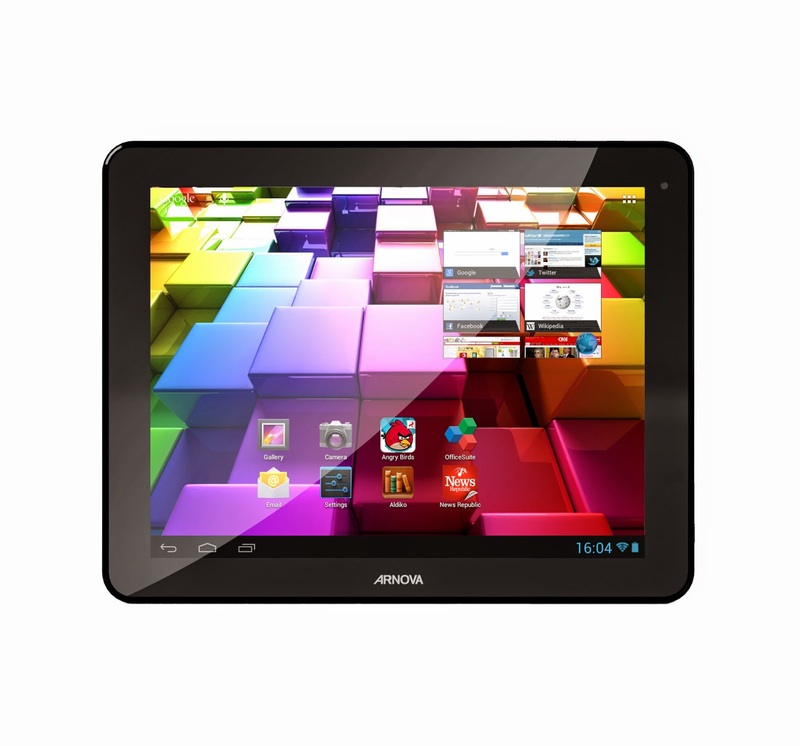 Arnova also introduces the Arnova 97 G4, a 9.7-inch tablet that is made for the power user. 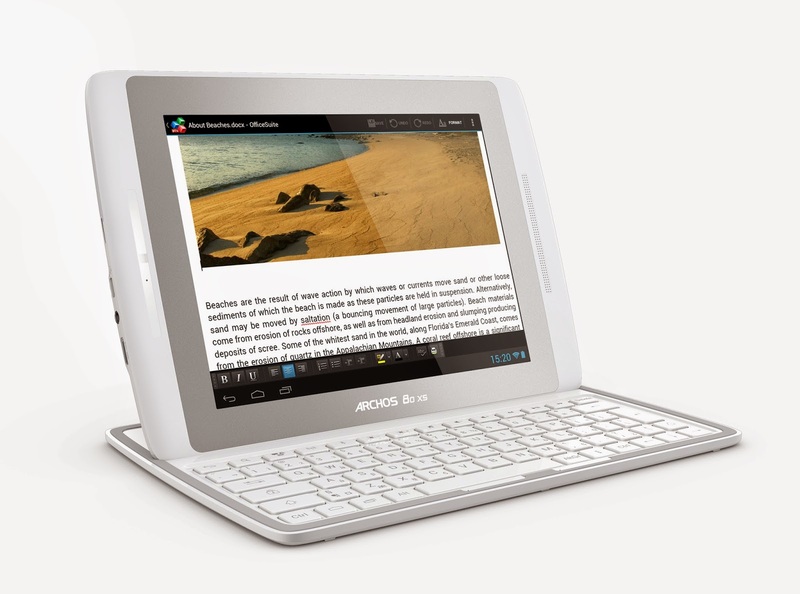 It has a powerful dual-core ARM A9 process running at 1.6 GHz and a 1 Gb RAM. Its integrated graphics is a quad-core Mali-400 processor that provides optimum power for graphics-intensive applications. All Archos and Arnova products are available at The Electronics Boutique, Ace Hardware, Anson Emporium, Automatic Centre, DIY Shop, Office Warehouse, Office 1 Superstore and Robinsons Appliances.